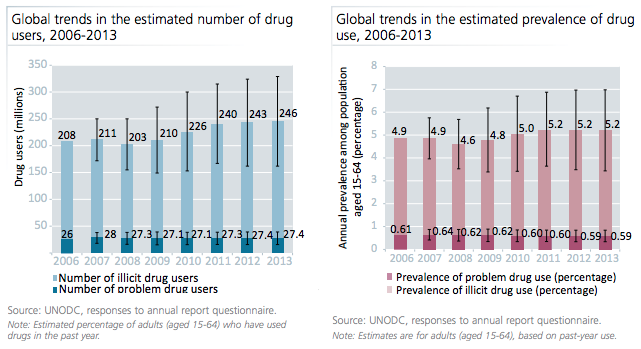 Scooper - Technology News: What next for the war on drugs? What next for the war on drugs? New battle lines are being drawn in a war on illegal drugs that has waged for over half a century. Since the early 1970s – when President Richard Nixon launched a campaign to “destroy the drug menace in America” – a policy of prohibition has been the principle weapon against drug use and sale. As drug use continued unabated, we have seen a global trail of violence, corruption, overcrowded prisons and HIV infection. The drugs war – which operated by generally outlawing illicit substances and the people who produce, trade and use them – has, according to critics, cost governments more and caused more human suffering than the drugs trade itself. It has been responsible for a “criminal black market of staggering proportions”, says the UN Office of Drugs and Crime (UNODC), guilty of corrupting governments and destabilizing society. One thing it hasn't done, however, is have any real impact on the amount of drugs being sold and consumed around the world. In fact, the figures appear to be rising. If drugs were a business “I would have closed it down”, said British businessman Richard Branson , a member of the Global Commission on Drugs Policy. Branson, along with Warren Buffet, Bernie Sanders and 1,000 other leaders, has written an open letter to the UN pleading for a new approach to drug regulation. "Humankind cannot afford a 21st-century drug policy as ineffective and counter-productive as the last century’s," the letter reads. "A new global response to drugs is needed, grounded in science, compassion, health and human rights." So what’s the UN doing about it? Our inability to solve the drugs dilemma isn’t new: in 1998, a UN general assembly came together to agree to end the trade of illegal substances. A drug-free world by 2019, they cried, "we can do it." But 18 years later, and two years short of their 20-year target, optimism has stalled. The need for reform is now so urgent that the next UN general assembly special session, known as UNGASS, was brought forward from 2018 to 2016. The 19-21 April meeting in New York City brought together leaders and organizations from more than 150 countries to check on the progress of goals set out by a previous general assembly in 2009 and to develop a new approach – one that places public health, community safety and human rights at the centre of global drugs policy. All around the world, countries are relaxing prohibitive policies. 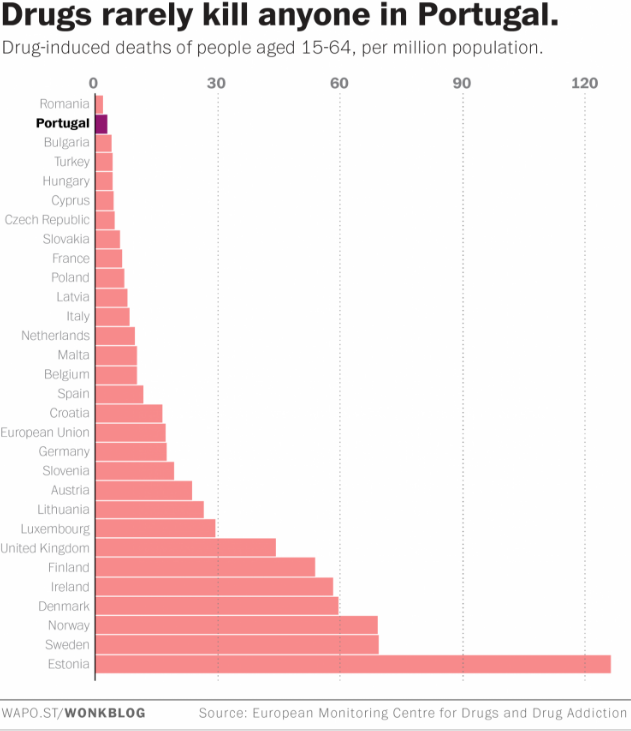 Portugal, for example, decriminalized the use of drugs in 2001. It led to a reduction of drug use among young adults and fewer new cases of HIV infection. Since then, Switzerland has introduced free methadone and clean needles; just last year Canada decriminalized marijuana use. Even in the United States, where in the past four decades more than $1 trillion has been invested in the fight against drugs, certain states have now followed suit, legalizing marijuana for personal use. Nowhere has the war on drugs been as violent as in Latin America. In Mexico, more than 100,000 people have died in the country over the past decade as a consequence of the illegal drugs trade. But even here, the supreme court recently made a move towards decriminalization by removing a national ban against the production, possession and consumption of marijuana, calling it a violation of the rights of the Mexican people. Where are the new battle lines? The provision of treatment is a priority. Only one in six people around the world has access to treatment for drug addiction. Of all the countries attending the UN special session in New York, more than a third has failed to invest money in prevention campaigns and adequate healthcare for drugs users. Another issue is the online drugs market, which continues to thrive despite crackdowns on high-profile darknet websites such as the Silk Road. As well as the flow of drugs across borders, there is the matter of money, and how the proceeds of the drug trade are being laundered through illegal businesses and terrorist networks. Legal drugs aren't excluded from the debate. In the developed world, policies on access to prescription painkillers such as codeine and morphine is up for reform, as a growing number of people use medications in illegal ways. For policy-makers it requires a delicate balancing act: unlike in the first world, less developed nations are seeing a growing need for medical-grade painkillers to treat the rising number of people with HIV and Aids. What next for global drugs policy? The one-size-fits-all war on drugs has been widely criticized. In its place, the UN is now organizing itself to adopt a new framework, one that puts human rights and well-being at the core of global policy.